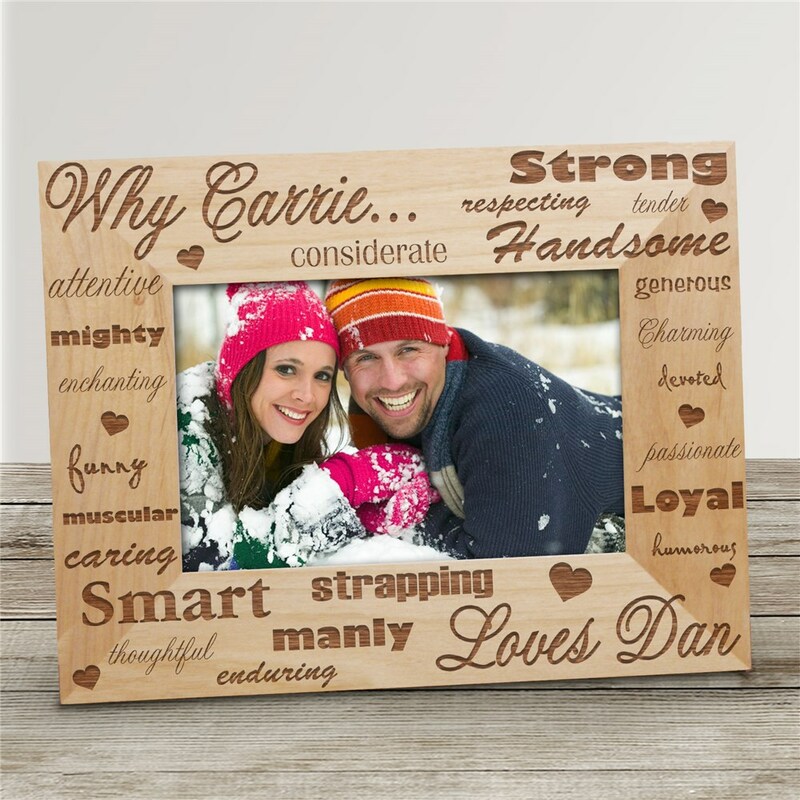 Express your love for your sweetheart with this Why I Love You custom frame. This wonderfully engraved couple's wood frame will be personalized with any two names and makes the perfect gift for any romantic occasion. It is absolutely beautiful as pictured and well crafted. Love it. great value for a great price. it was a joint gift and everyone was so pleased, but most of all the recipient loved it. the engraving and frame quality were excellent.